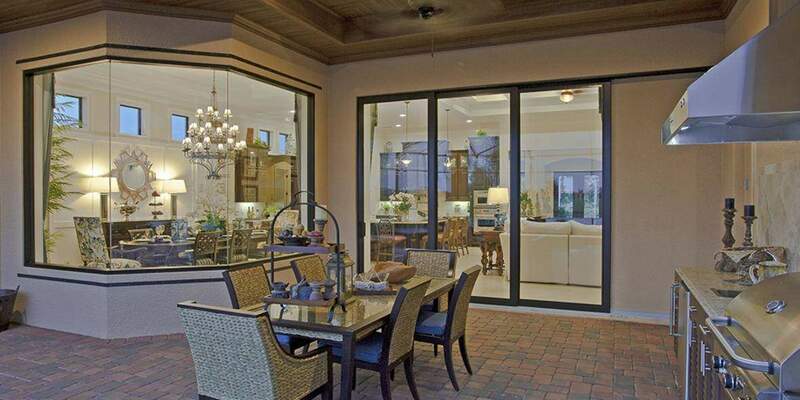 When you are looking for sliding glass doors in Port Charlotte, call Charlotte County Glass. We have proudly been servicing all of Port Charlotte and surrounding communities for over 23 years. Port Charlotte is located in Charlotte County which was named for the Bay of Charlotte Harbor. It is sits along the Gulf Coast of Florida and has an average population of 54,392. Port Charlotte has a warm and humid climate with temperatures averaging around 85° F. With the beautiful subtropical climate, many residents, snowbirds and vacationers enjoy expanding their living space by having sliding glass doors which lead out to the lanai area. Charlotte County Glass offers many options which can allow you to take advantage of your outdoor living space. Single sliding glass doors– Consists of 2 or more glass door panels. One of the glass door panels simply slides towards the other stationary glass panels when opening. Three panel sliding glass doors– Consists of 3 glass door panels. One of the glass door panels will slide towards the others when opening. Any one of the 3 panels may be opened, the left, right or center panel. Four panel sliding glass doors– Consists of 4 glass door panels. Two of the four glass door panels will slide towards the others when opening. May be opened from the left, right or center.